Watching the newest addition to the Max Max franchise (Fury Road) made me want to revisit the 80s classics. First there’s the original Max Max, which actually came out in 1979. It tells the story of how Max went from police officer to punisher after a tragic event following a global apocalypse. Next, in Road Warrior in 1981, Max has gone rouge in the Australian wastelands, eventually teaming up with a community who are trying to protect their precious fuel from an army of evil men. And of course, in 1985, comes Beyond Thunderdome, catching Max in trouble once more, and again helping a group of weaker survivors while also trying to survive himself. Fury Road would continue that theme, but it’s here in Thunderdome that we get some glimpses of the old world, of the innocence of post-war children, and of Max’s undeniably strange luck. At the beginning of the story, Max is on the road again, though well stocked with provisions and even animals. But thieves come from everywhere, including the air, and when his livelihood is taken from him Max goes on a mission to get it back. He follows the thief to Bartertown, a medieval place from Aunty rules the trade above ground, Master rules the electricity under ground, and the two are at constant war with each other. When Max steps between them his life will be forfeit, and trouble in Bartertown means a date with fate inside Thunderdome, where two men enter but only one man leaves. Surviving Thunderdome earns Max a trip to the desert, where he stumbles upon a group of children who think that he is their savior, Captain Walker. To save himself, Max will have to make this group an ally, defeat the villains of Bartertown, and escape the dangers of the barren outback. There’s so much to talk about with this film, it’s overwhelming. First, I’m a big fan of the series, and you’d better be too in order to enjoy this movie. It’s an odd plot with weird characters and ridiculous action. It’s much more 80s & silly than Fury Road, going over-the-top in a way that was fashionable at the time. This is exemplified by Tina Turner, who also sings some theme songs. She’s awful really, a terrible actress who is never believable and, IMO, not that great a singer. She and her cronies are hilariously bad, the exact opposite of the new film’s evil men. And Mel Gibson is really only OK, not as strong a character as in the other films. But the saving grace of the movie is the children in the desert, their survival, the legend of Captain Walker, and the idea of TomorrowMorrowLand. It’s the best part of the story, adds an element of hope & history to the film, and I always wish there was more to learn. 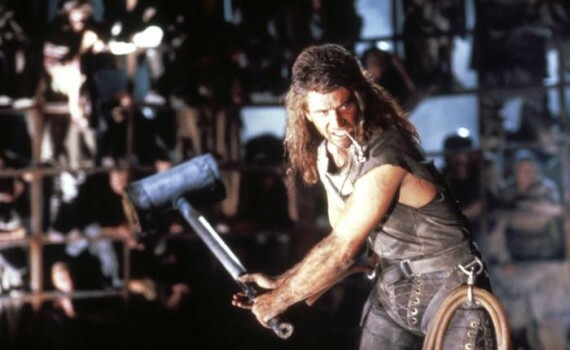 Putting it all together, Thunderdome is crazy, funny, strange, entertaining, but not the strongest of the series. If you’re a fan it’s worth the watch, but if you’re looking to jump on the bandwagon make sure to watch the others first.